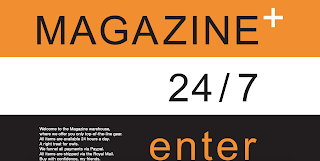 Looking for some great Magazine merchandise? Well get it from the only official Magazine outlet. Here is the newly designed Magazine merchandise shop over at Wire-Sound here. I've bought virtually every item from the shop a while back and sadly before the great price discounts currently offered.